So 'Trip In A Van' have tackled Cape York and the Old Telegraph Track in a TENT!! Ten days from Cooktown to the TIP and back!! The only way to describe it is "AWESOME!!!" 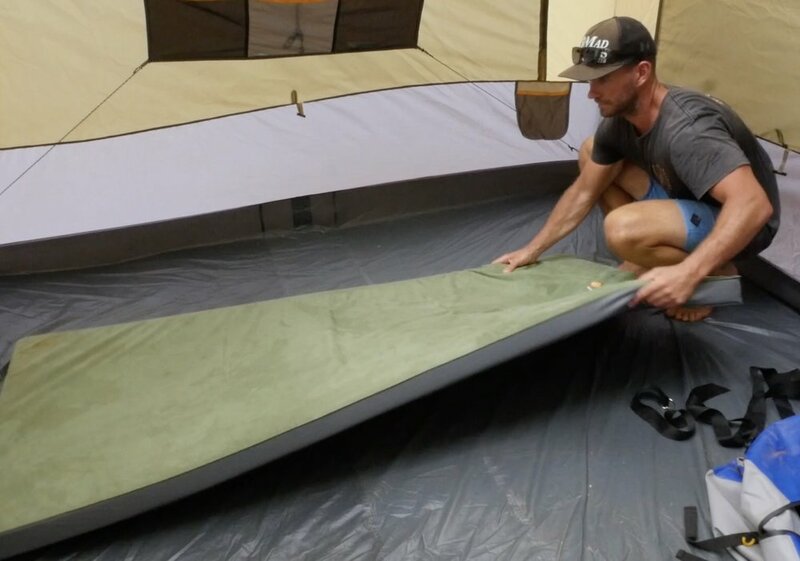 For this Adventure, we teamed up with Oztrail Leisure Products and they supplied us with some unreal products that we used on our trip to the top of Cape York! Below is all the items we used on our trip. If you'd like any more info on them just click the picture and it will take you straight to more details. 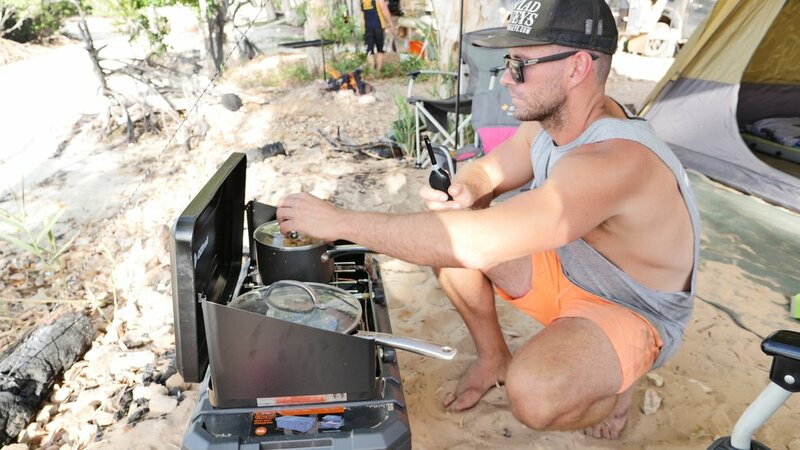 We have teamed up with OZTRAIL for our camping adventure up to Cape York. Check out our setup and get some info on the gear. All the gear we took on our trip performed brilliantly. We gave it all a pretty hard time with setting it up and down every day and having it all strapped onto the roof rack of the Mazda. Lets have a look at what we like about the camping gear we took. The Fast Frame 450 tent and its 2 rooms gave us plenty space with all 5 of us in there. We loved that the tent is full height so you can walk around inside and stand up to get changed. It was great on those hot nights, we didn't even put the fly on, we stayed cool and got to watch the starry night sky as we went to bed. The quick pack up and setup times and it being light enough to throw up on the roof rack made this an ideal choice for us. The Leisure Lite Mattresses were honestly some of the best nights sleep camping that we have ever had. They are super comfy and so easy to set-up. Just take the bungs out and throw-em in the tent, come back a few minutes later and put the bungs in and your ready for bed! We loved the fact they can be folded up before your roll them up to decrease their size. The lightweight sleeping bags were perfect for the top end climate of Cape York and the muggy nights that we had on our trip. The kids had a blast hiding and playing games in them and they slept through every night!!! It was good that we could unzip them and use as a dooner as well because it was so hot. What a ripper! This unit was fantastic. Having two burners means you can get everything done at once. Cook the steak on one and steam the veggies on the other. This stove has fast boil burners, so you can crank the flame up and boil the kettle super fast. It's lightweight and powder coated and a great bit of cooking gear. We have had our Oztrail camp chairs for a long time now and they are great. The kids have the Junior Hercules and my wife and I have the Royale Armchairs. Strong, lightweight, comfortable and easy to pack up. They have stood up to years of travel for us, what else can you want in a camp chair?? What a great bit of kit. It packs down into a small bag and you can store it just about anywhere. It was so easy to use, we just stuck it on the back of the ute with the supplied suction cap mount and dropped the pump into our water jerry can and it was showers all round. We glamped it up a bit by boiling the kettle and mixing it in to have nice hot showers. A function we loved was the adjustable flow control, great for not letting the kids waste all that precious hot water!! For us, this was an absolute necessity to take with us. Not only are they fantastic for remote camping and keeping the camp sites clean and free of stinky toilet paper, but perfect to keep in the tent at night so the kids and the wife can use it. We like that it's flushable which keeps it clean and the waste tank is fully sealed so there is no smell at all!! We used these to store all our bedding on the roof rack of the car. They are fully waterproof and dustproof which makes them perfect for the job. They are a tough, well constructed bag, as we had them ratchet strapped to the roof every day and we got no damage to them at all. They pack down really flat when not in use which is great for us as we can easily store them. Here's a quick run down of how the camping gear went up the Cape. We had a fantastic trip with no issues. A massive thanks to Oztrail. Cheers! We hope this provides you with some insight into what you might need for your own adventures. We have had an absolute blast camping our way to the Northern most point of Australia's mainland, but for now its back in our caravan to continue our Lap Of Oz. Sign up with your email address to receive a monthly update of our travels and some great product reviews. CHEERS LEGENDS!! HOW TO STAY ALERT ON THE ROAD WITHOUT DRINKING COFFEE!! !